Canada’s heavy-riffin’ four-piece, CHRON GOBLIN, have announced their signing to Ripple Music, plus details of their forthcoming album, Backwater. 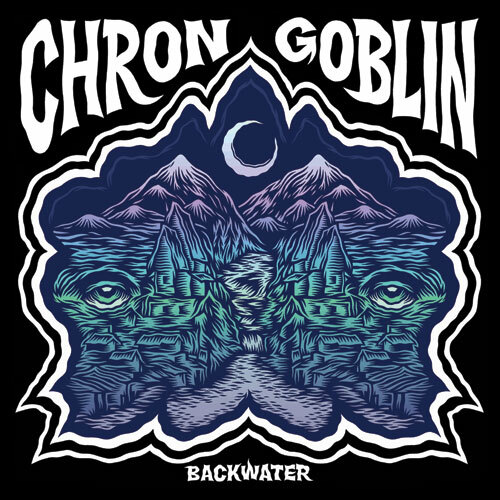 Having inked a deal with Ripple Music – home to the likes of Mos Generator and Leaf Hound – CHRON GOBLIN are now working towards the release of their third long player, an eight track monster entitled Backwater. Venturing to Portland to work with Adam Pike at Toadhouse Studios in February 2015, the band’s intention was to explore the heavy sonic principles of the Pacific Northwest and embrace Portland’s music scene. Adam – who recorded Red Fang’s debut album and tours with them as their front of house engineer – was an integral component in achieving the band’s aspirations in the studio and ensuring their exploits across the city were well advised. Swagger and muscle, charm and wit, CHRON GOBLIN pair melody with aggression and groove for a fresh interpretation of heavy. Following the success of 2013’s sophomore album Life for the Living, and having toured the UK, USA and Canada, the band’s third full length album Backwater picks up where the former left off. Holy Grove vocalist, Andrea Vidal, features on the ethereal first half of The Wailing Sound, a track offering contrasts to brain pummelling heavy rockers such as Fuller, and Give Way, and the meandering complexities of The Return.